Wonder Woman was a smash hit over the weekend! 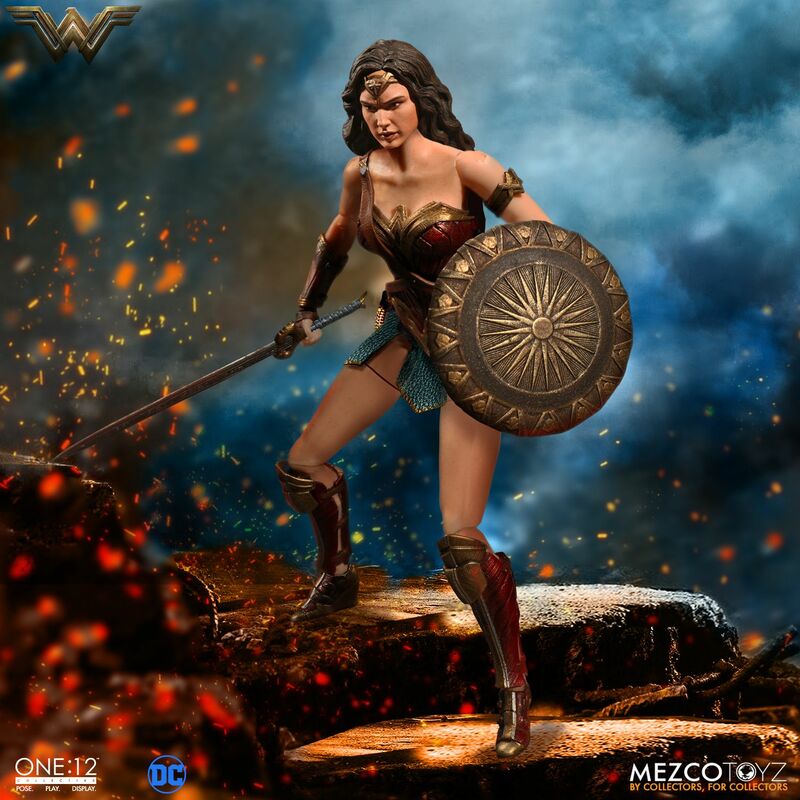 Now you can grab a new, highly details, action figure based on the movie from Mezco. 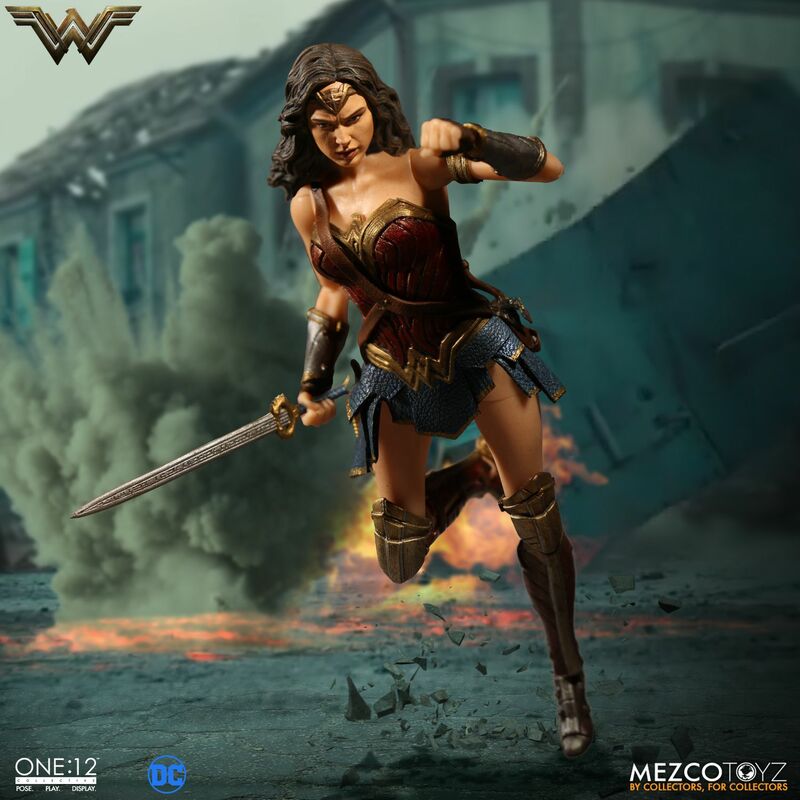 they have opened up pre-orders for the One:12 Collective Wonder Woman Figure. The figure is priced at $80 with a release set between November 2017 and January 2018. 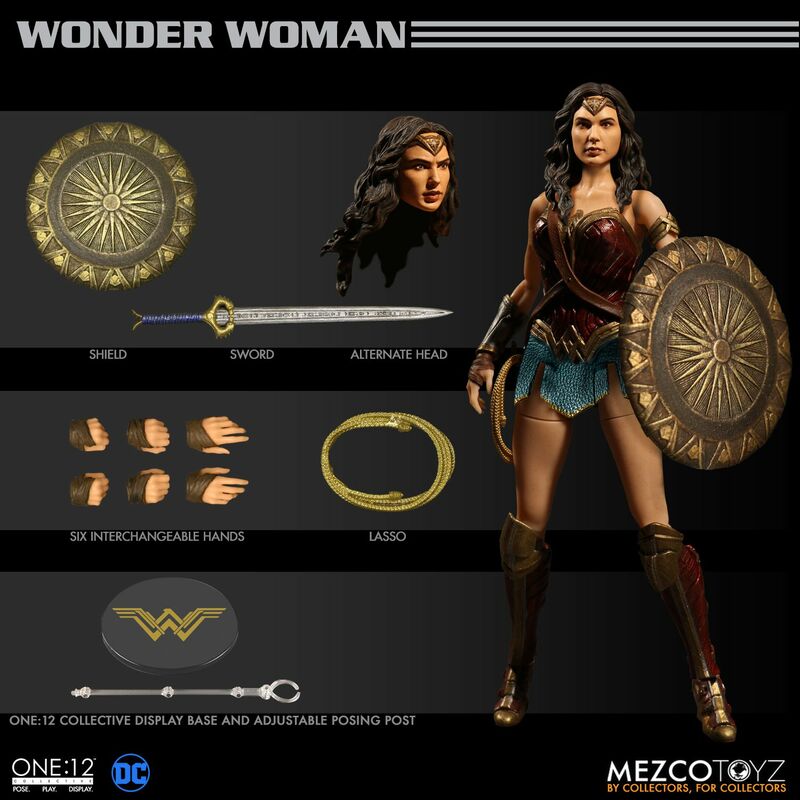 Wonder Woman includes interchangeable portraits, multiple sets of hands, the Lasso of Truth, a sword, a shield and more. Pre-order the figure by Clicking Here. Check out the details below and the photos after the jump. I dunno if they altered the face since Toy Fair or it's just the angle/light here - but it looks way better. I am down with this now, will be joining my One:12 BVS figs for sure! This looks really good. I don't know if I will order this or not. 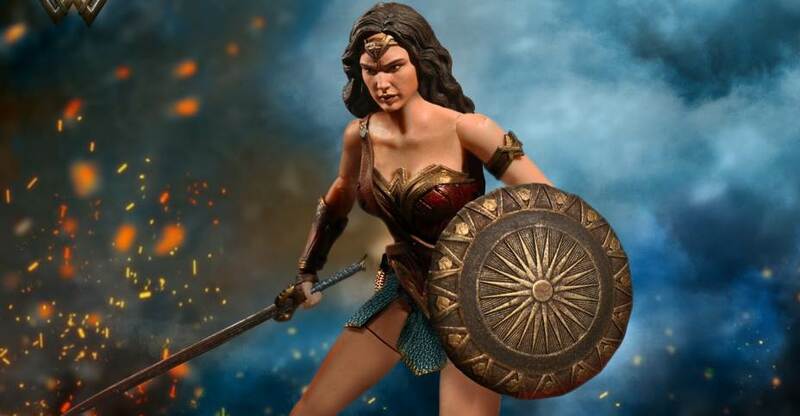 What I really want is a Linda Carter Wonder Woman. She is how I still envision Wonder Woman to be. They've changed a lot and it's paid off but I will definitely need to see this on display somewhere if I'm to pre-order it. 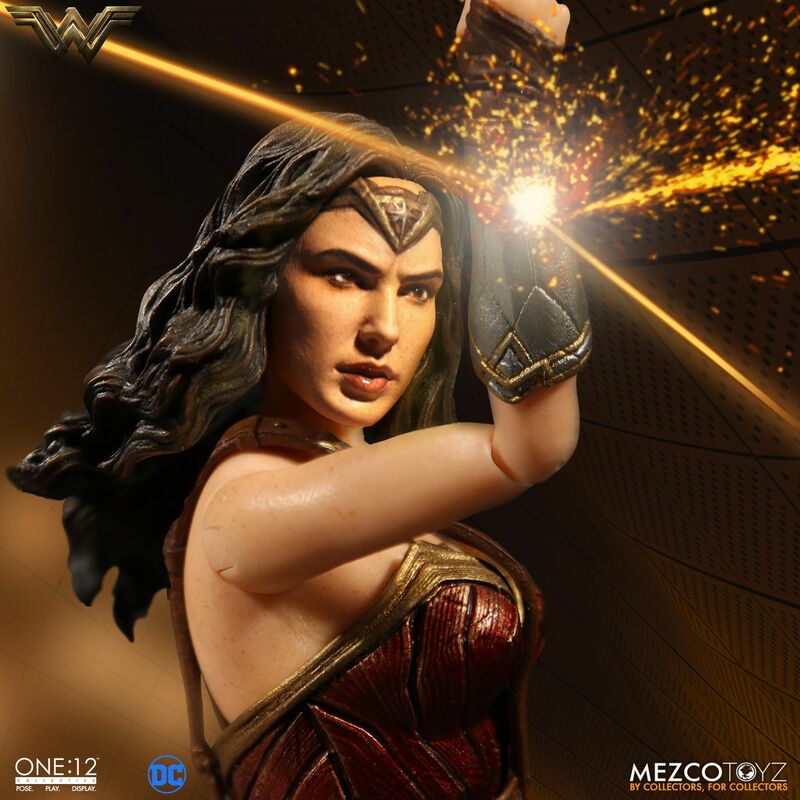 I don't want to believe that Mezco have merely used photoshop and trickery to achieve that sculpt and to enlarge her arms to actual human proportions but you never know. 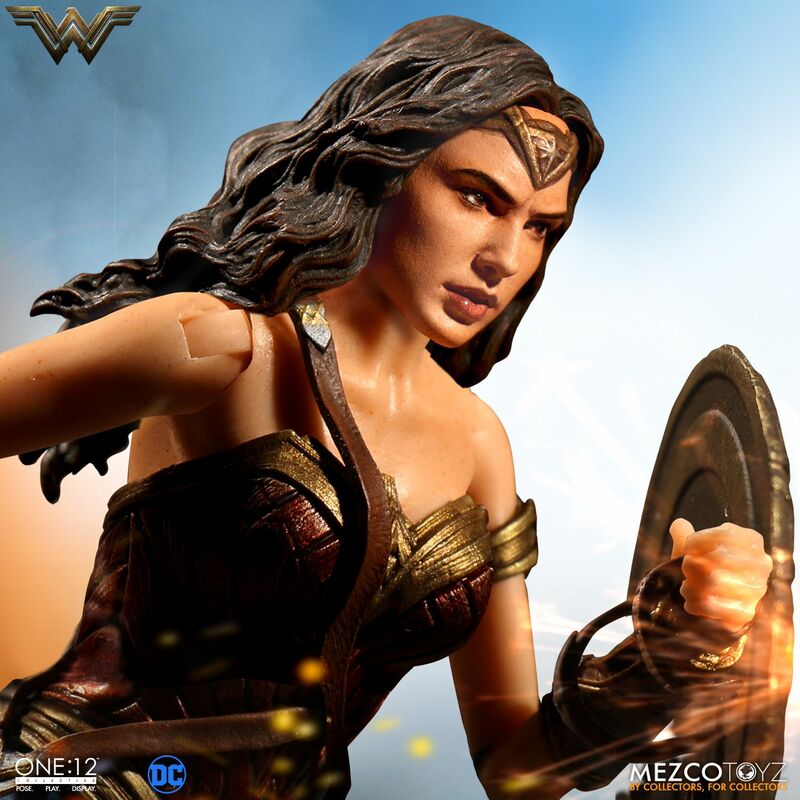 I've kept my Mafex BVS WW in the box in the hope that Mezco would get this right and it finally looks like they have. Now time to reveal a Netflix Punisher and movie Logan, Laura and Charles! At least I can realistically expect one of those. Beautiful! I hope this is how it comes out, because this is fantastic. I might get greedy and hope for an extended, glowing lasso, but this is more than plenty. Looking at the gallery from NYTF, I don't think they really changed the body except for the head. 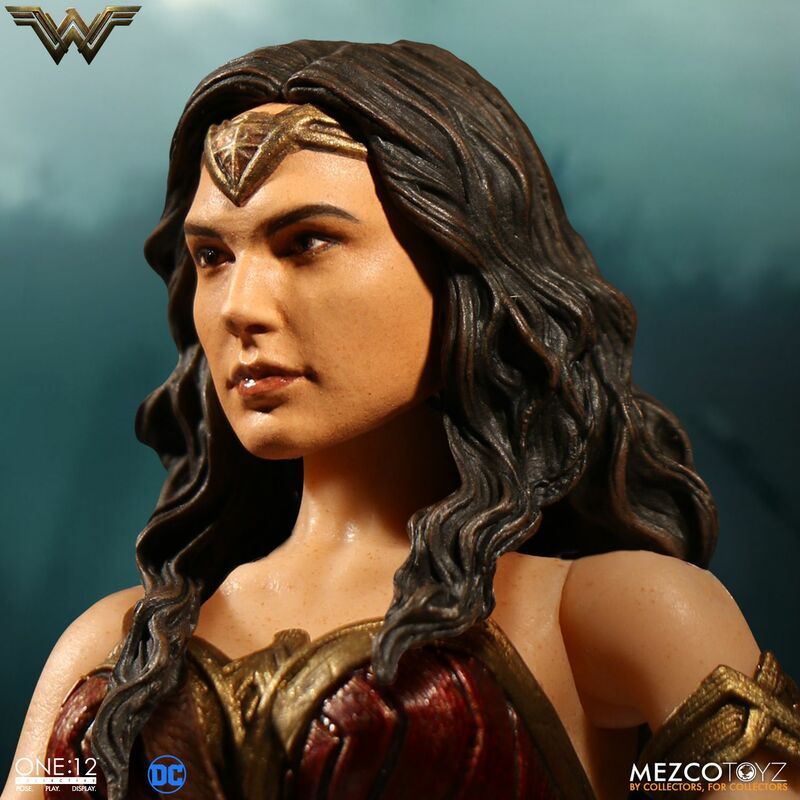 Aside from thr head looking more like Gal Gadot, it also looks smaller than the original so the body looks better proportioned. This figure looks great! Love the new head sculpt, though I'd like to see a mass produced version. My only gripe is that I don't see any real use of the fabric, which is a staple with this line. I know Ironman won't have that (makes sense) but I don't see much of any here either. Makes me wonder if there is a jacket or something else that we will get with this. As for real fabric use, she should definitely come with that majestic blue hooded cape thing she wears in the trailer. I thought that was a given for Mezco. 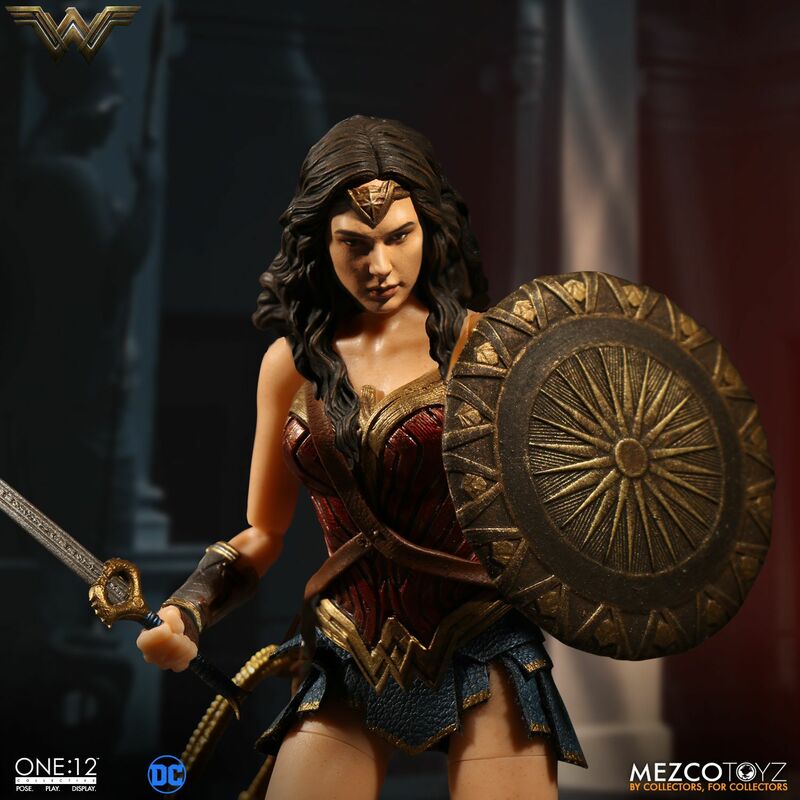 dang she looks good.. my DCEU Mezco collection need this asap! to complete the trinity. Either her torso armor is some kind of fabric or she has no torso articulation. Had that same thought. Has to be soft vinyl or pleather or something. Otherwise it has no edge over the other high end figures. 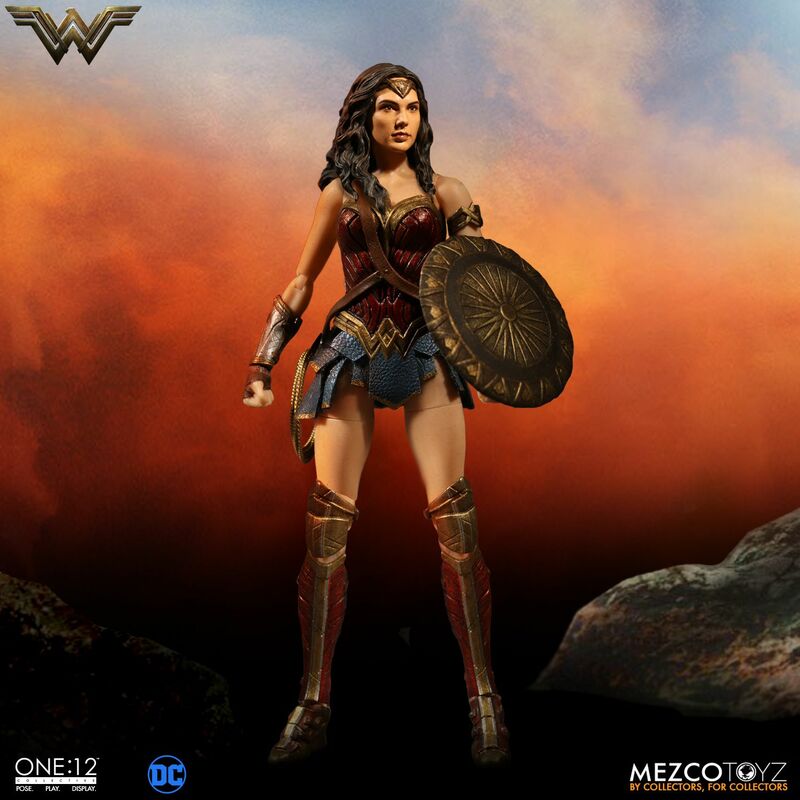 Really hope Mezco makes a Previews exclusive Red Son version of Wonder Woman. Something about this screams PX Justice League version with longer lasso, and I hope that does happen. I know for this figure I'm mostly paying for material and paint, but one can hope. Annnd she is bought! Or at least will be as soon as those of us irrelevant collectors who had the cheek to be born outside of the US are gifted the option to purchase her. Definitely not for this one, but I can see it happening when they do a comics Wonder Woman. Not to be "that guy", but upon seeing the figure's accessories laid out, I did notice that the sword's handle is wrong. The entire hilt was bronze without a hint of blue anywhere. And no mention of whether she has torso articulation and none of the poses they put her in really suggest that she does. I do appreciate no joint marks messing up the lines of the armor, but that can limit her movement a little.